Once in a lifetime. Stunning. Enchanting. Timeless. Those are the words brides and grooms use to describe the work of Red Moments Wedding Videography. The client, of course, needed a direct mail piece that created the same, powerful feelings. We realize that marketing is an investment for every business, and small businesses need smart, efficient marketing. 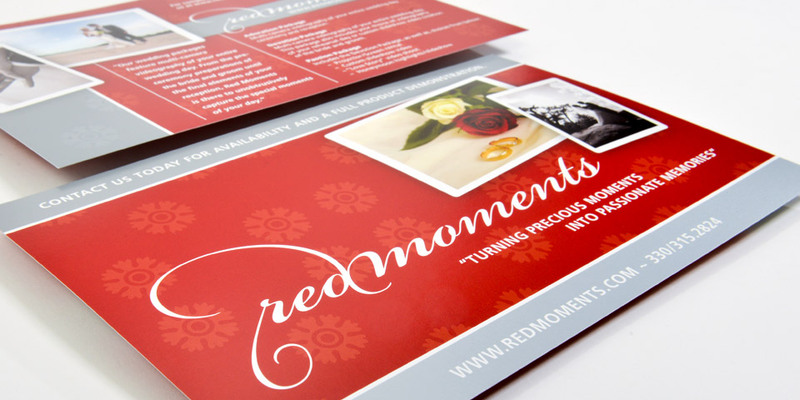 Red Moments came to us with a small budget, but we delivered a big look. Our smaller clients appreciate our attention to their projects, and the level of dedication we have to their challenges. Big or small – it doesn’t matter to us. We treat every project like we were executing it for our own business.